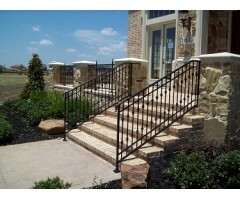 This very elegant railing has a top and bottom double frame with a full height center piece. .. 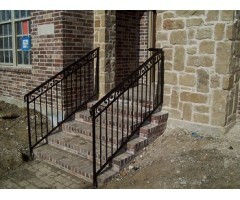 This very elegant porch railing has top and bottom double frame with a full height center piece. .. 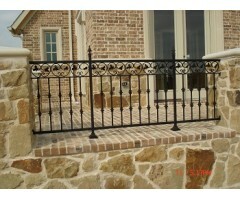 This very elegant porch railing has top and bottom framing with a full size center piece. .. 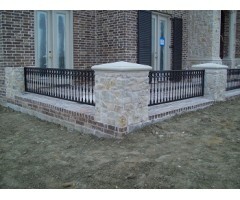 This very elegant porch railing is a work of architectural art adding great value to this luxury home. 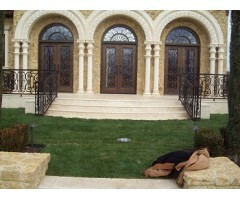 ..
Alot of architectural planning went into this luxury estate home. 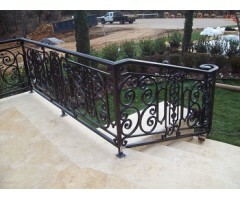 The railing is one of the first impressions to it's artistic masterpiece! .. 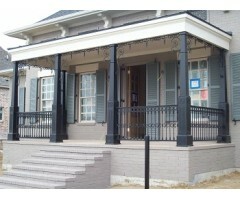 Cast iron panels were framed to create decorative detail along with the corner pieces to soften the porch on this home. 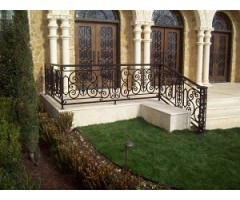 ..
A large molded handrail was used on this proportional balustrade to compliment the massive detail of the stone columns on this estate home. .. 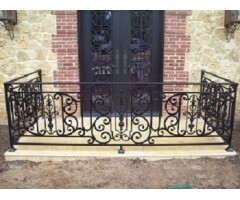 The decorative iron valance and corner bracket puts the finishing touch on this beautiful porch railing. .. 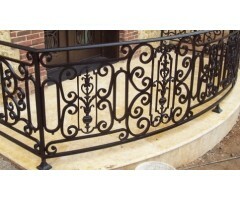 The scroll border along the top of this vertical railing creates a classic look for this porch railing. .. 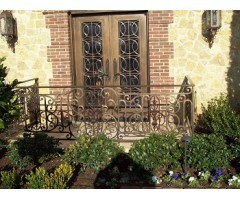 The beautiful leaves on the ends of the scrolls as a top border over a uniform design using two evenly spaced rows of square collars makes a pleasing combination for this porch rail. 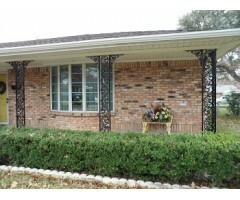 ..
Two rows of evenly spaced square collars with a molded top rail and lamb's tongue volute. ..